American Housewife is an American 30 minute scripted family television series, which kicked off on October 11, 2016, on ABC and is broadcast every Wednesday at 20:30. The show is currently in its 3th season. ABC is yet to announce the renewal of American Housewife for Season 4 as well as its cancelation. Sign up to track down the show's status and its release date. 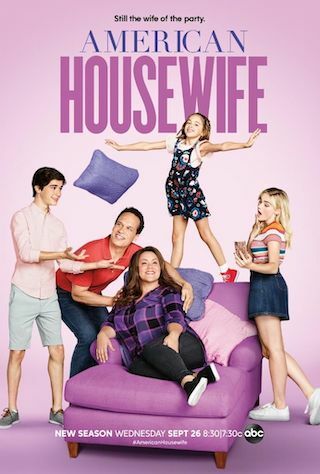 American Housewife Move to Tuesdays at 8 p.m. EST Starting February 5, 2019. Fearing she's spending too much time at the office and away from the family, Katie volunteers to chaperone Anna-Kat's school field trip to make up for lost time. Meanwhile, Greg takes a creative approach to parenting when he catches Taylor and Oliver.